Avoid stamp duty land tax on your house purchase! Avoid stamp duty land tax on your house purchase – and you may end up having to pay not only the tax, but penalties, interest and the scheme promoter’s charges on top. There are currently a lot of stamp duty land tax (SDLT) avoidance schemes being promoted on the internet. These are of sufficient concern to the Law Society for it to have has written to all of its members warning them of the potential dangers of getting involved in the provision of such schemes. The schemes are mostly targeted at property purchases in excess of £500k, and claim a 100% success rate. Promoters claim that they can legitimately arrange a property purchase in such a way as to result in a nil rate SDLT charge and they will typically charge a fee equivalent to half of the SDLT allegedly saved. Most of these schemes seek to take advantage of SDLT sub-sale exemption. This is a legitimate exemption which avoids a double charge to tax where there are more than one transfers of property in what is essentially a single sale. A sub-sale may occur for example where a purchaser acquires a large plot of land but does not need it all. The purchaser will arrange to sell the surplus to a third party and direct the vendor to convey that surplus direct to the third party. The scheme promoters believe that by artificially introducing a sub-sale they can achieve a nil rate of SDLT. What the scheme promoters may not highlight in full is that there is anti-avoidance legislation which applies to many SDLT schemes. Also many of these schemes are already being investigated by HM Revenue and Customs and leading Tax Chambers tell us that they have cases on their books which are queued up waiting for hearing dates. If a scheme is found to be ineffective, HMRC will seek the tax, interest and penalties from those who have used them. It is telling that the schemes are usually marketed as only being suitable for purchases in excess of £500k. There is no technical reason for this other than the level of fee to the scheme promoter as in theory, if the scheme works, it will work for any level of purchase. Our advice to you if you are considering using an SDLT avoidance scheme is to treat it with a healthy degree of scepticism. 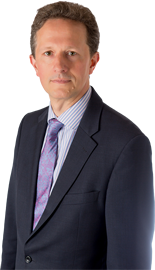 Richard is a personal tax expert and is able to advise high net worth individuals on either immediate tax concerns or a long term plan to ensure that their affairs are structured to take advantage of the tax reliefs available. His experience from working with HMRC ensures that he is more than adept at understanding the view from the other side, to the benefit of his clients. 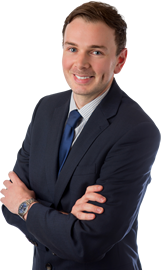 Richard advises entrepreneurs, owners of family businesses and partners in professional practices and provides advice on planning from both a personal and worklife perspective.